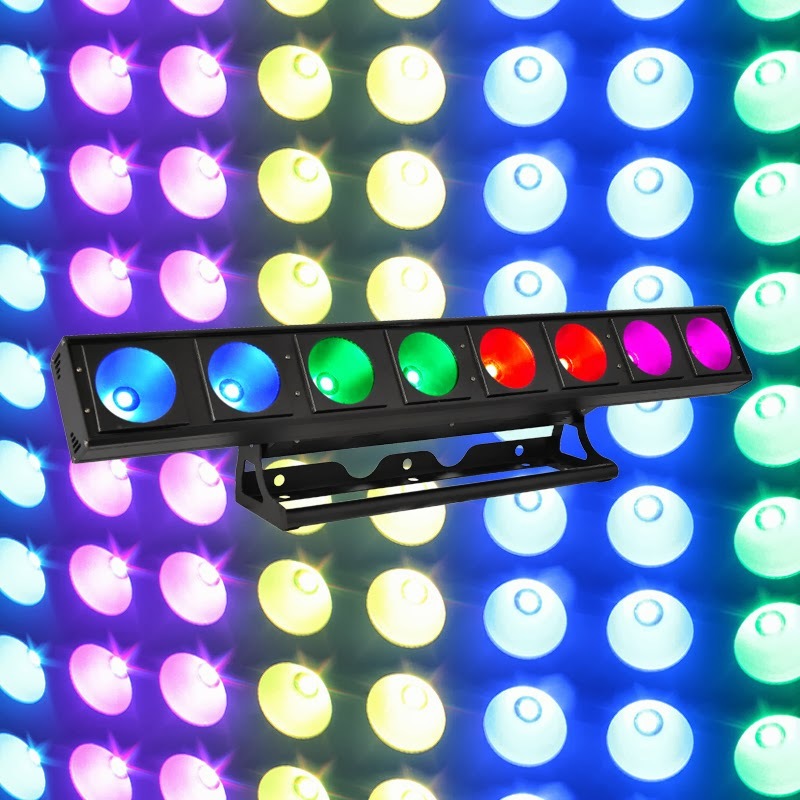 We first blogged about the eLumen8 Tri 8 Pixel batten last year (have a look here for the original article) and have sold a couple of dozen units for installs and theatres. Everyone has been impressed by the brightness and evenness of field from them and some customers have asked if they can hire them from us. To be honest, until the last few months - we weren't convinced that there was enough demand to warrant us buying units for hire. The situation has changed in the last few days when one of our customers (a fellow hire company in the other side of the Midlands) decided to invest in some for hire. He's decided to buy 6 of the units for his stock initially and offered to let us hire them to our customers for his usual rate - which we're expecting to be £40 per week per unit. The units run off a 'hard' mains supply i.e. not off a dimmer and each unit draws 280W of power, this means you can light a cyclorama about 10 metres wide with all 6 units and still draw less current than one conventional triple flood! The batten is DMX controlled using anything from 3 to 27 channels, so you can use them in most basic mode on 3 desk channels for RGB mixing or in multi channel mode and pointed down over the cast on stage for eye "candy" effects. If you'd like to know more and make a booking then give our Hire desk a call!